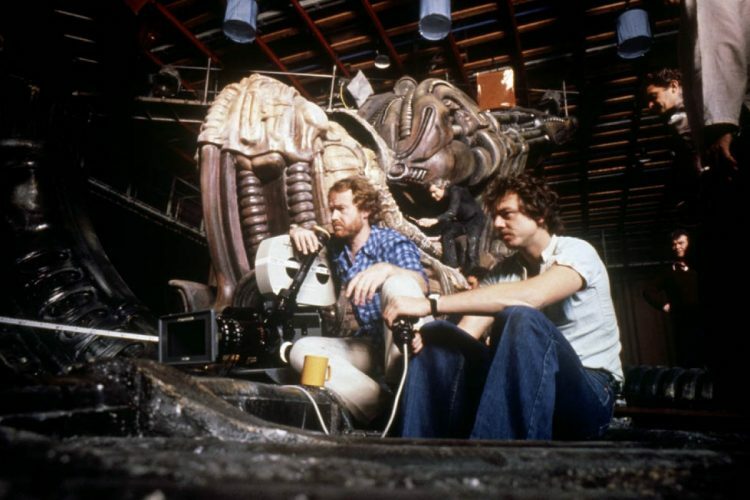 NOTE: Several photos used are taken from behind-the-scenes during production of Ridley Scott’s 1979 Alien. Photographed by Bob Penn © Brandywine Productions, Twentieth Century-Fox Productions. Intended for editorial use only. All material for educational and noncommercial purposes only. 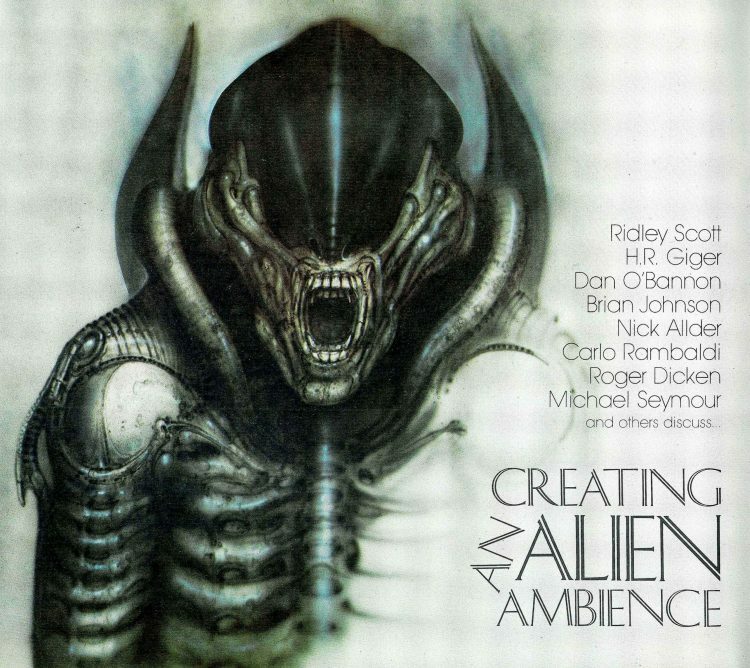 Ridley Scott’s sci-fi horror about a lethal extraterrestrial predator stalking the crew of a ship flying through deep space, is 40 years old this year. Watch the original trailer. Rent Alien now on iTunes! 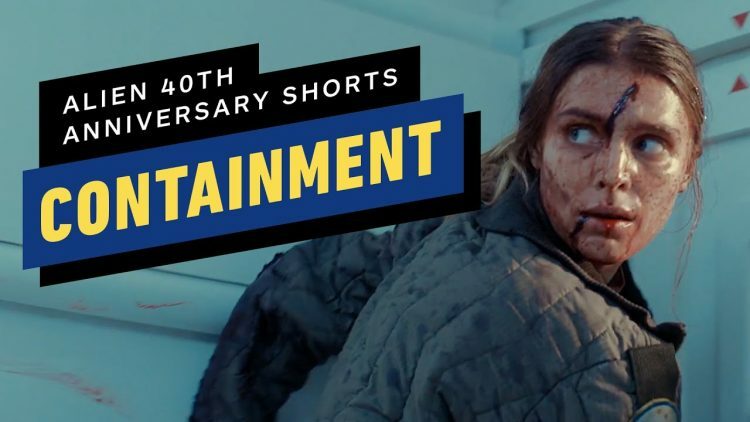 Alien: Containment (2019), written and directed by Chris Reading, premiered at Emerald City Comic Con on March 15th, 2019 and was globally launched on IGN’ Youtube on March 30th. At Comic con fans were treated to an exclusive poster celebrating the occasion. Watch first Episode Now Alien: Containment (2019)! 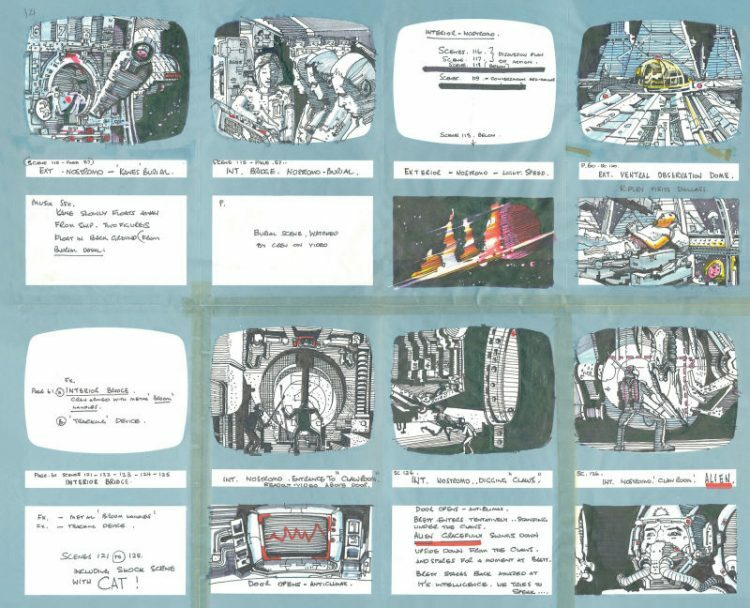 When an escape pod detaches from a compromised colony ship, the survivors must determine what happened and if any among them are infected by the mysterious organism. Reading’s short emphasizes the growing paranoia of a crew facing a threat that could exist in any one of them. How do you stop something that could already be inside you? What can you do to save a friend whose fate may already be sealed? Sometimes, it’s better to not be a survivor. 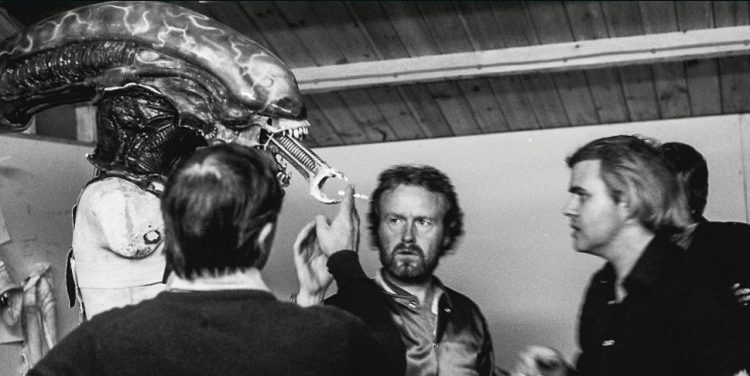 “It takes an army of dedicated people to make a feature film—and on Alien we had a marvelous army.” —Ridley Scott, The Filming of Alien. 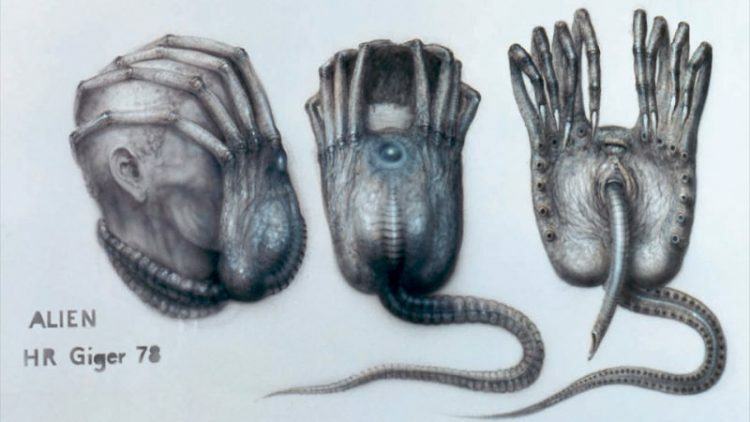 The Alien chestburster could genuinely be one of cinema’s greatest ever scenes if only for the reason that, despite having seen it countless times before, you still never expect what follows. 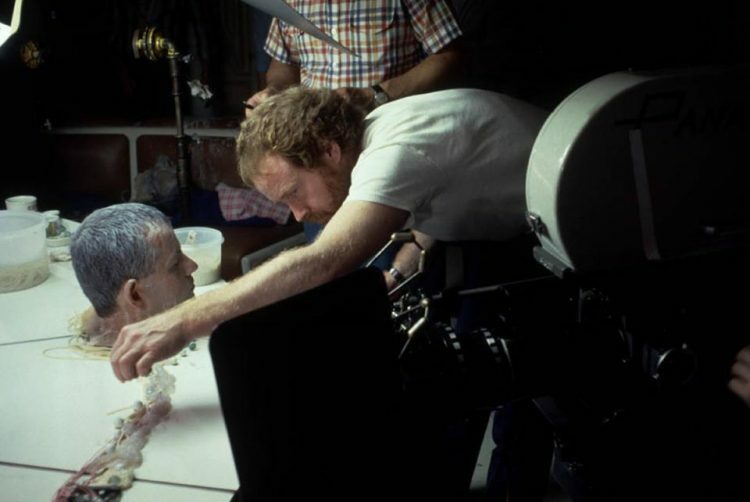 John Hurt’s character Kane, having had an unknown creature attached to his face for days, sits down to eat with his fellow Nostromo crew members; all seems well until he begins convulsing in pain. 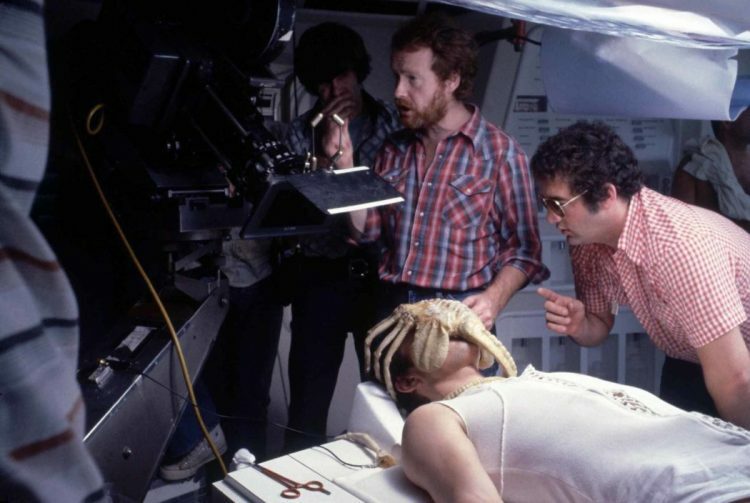 As the crew members try to contain him, a small alien creature bursts through his chest, killing Kane, before escaping into the depths of the ship. It all started with Scott’s desire for genuine reactions of terror. “[They] were going to be the most difficult thing. If an actor is just acting terrified, you can’t get the genuine look of raw, animal fear,” he mused. Cartwright, who famously passed out when cameras stopped rolling, said: “We read the script. 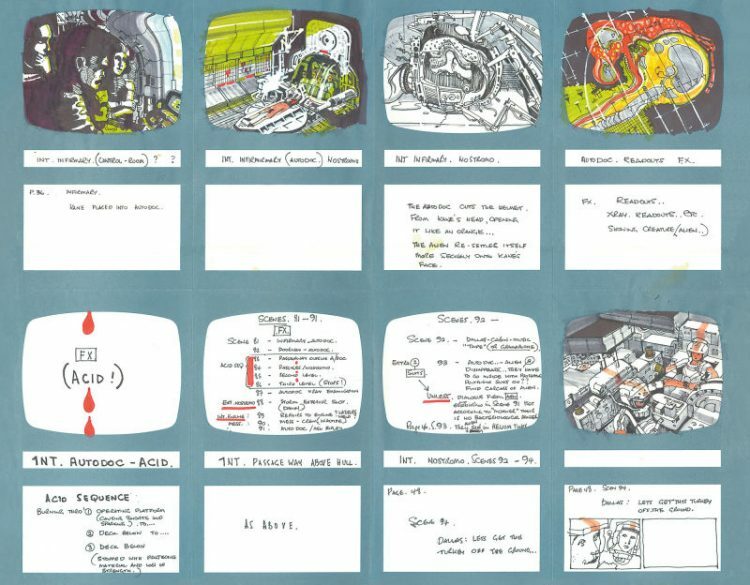 They showed us a mock-up, but they didn’t show how it was going to work. They just said, ‘Its head will move and it’s going to have teeth’. 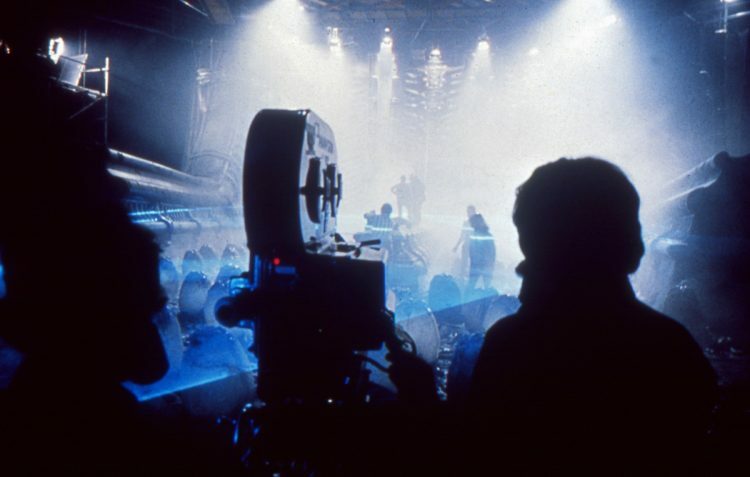 Shot by cinematographer Derek Vanlint (July 04, 2017 – ascmag.com), carried on the restrained notes of composer Jerry Goldsmith, edited by the great Terry Rawlins, who would later work with the director again on Blade Runner, and told by a great set of actors such as Tom Skerritt, Harry Dean Stanton, John Hurt, Ian Holm and, of course, the irresistibly charismatic Sigourney Weaver, the first true action heroine of cinema, Alien is one of the most important films ever made, still as disconcerting and petrifying as it was when it came out. 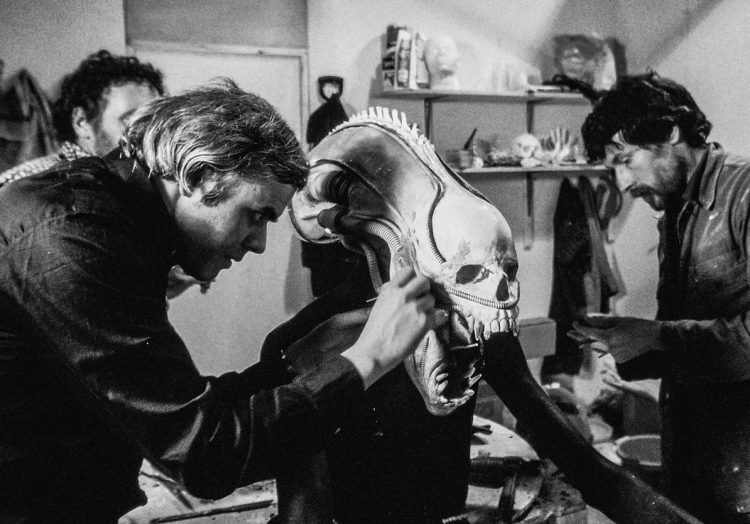 Fresh from his work on The Warriors (1979), producer Walter Hill discusses his role in the making of Alien. 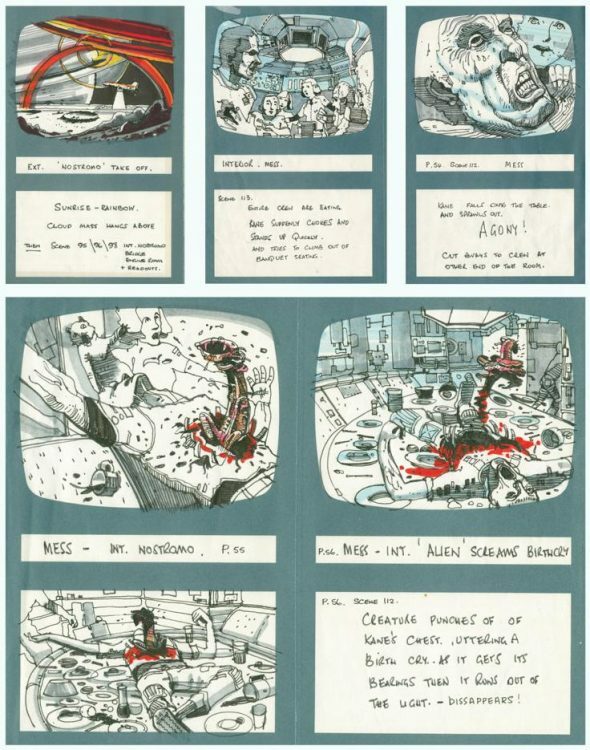 Storyboards for Alien drawn by Ridley Scott, with his handwritten notes, show how the director visualized the first encounter with the extraterrestrial monster. 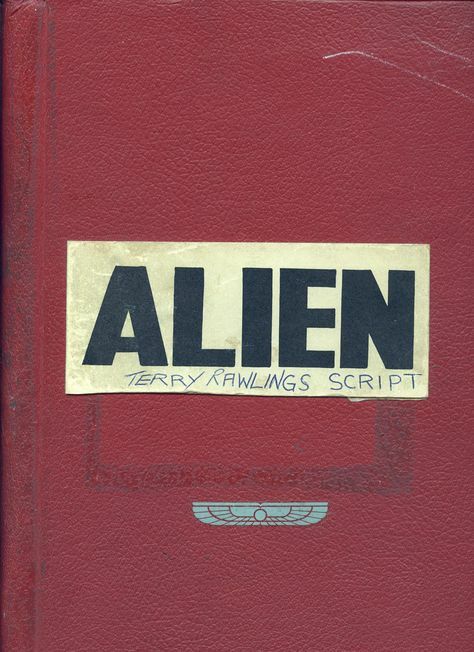 Thanks to the wonderful effort of Dennis Lowe, as well as the Alien Experience website, we’re able to check out legendary film editor Terry Rawlings’ Alien editing script, which contains a lot of material that was either cut from the film, or never shot in the first place, scanned in its entire 240 pages of invaluable historic testimony. You can download the PDF document here (NOTE: For educational and research purposes only). 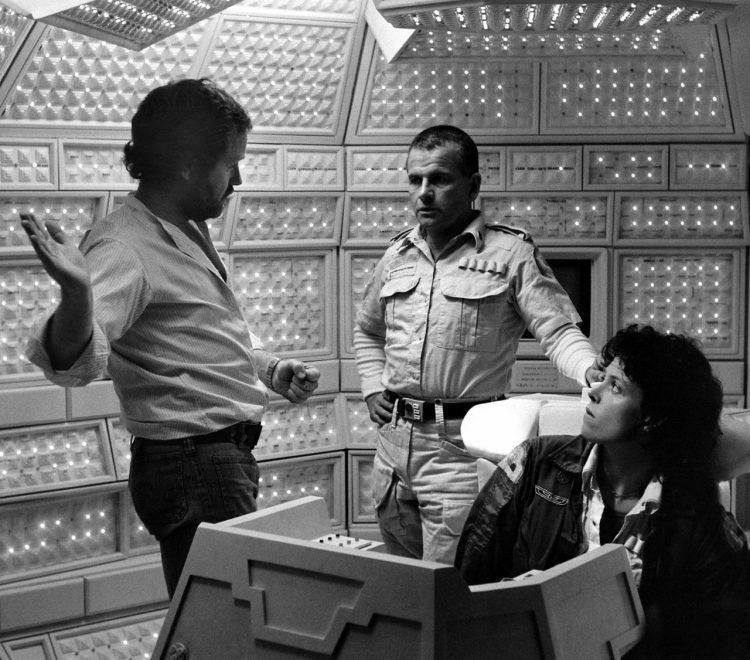 Rawlings’ rich resume includes work on Blade Runner, Chariots of Fire and both Scott’s and Fincher’s installments in the Alien series. Photographed by Bob Penn © Brandywine Productions, Twentieth Century-Fox Productions. If you find Cinephilia & Beyond useful and inspiring, please consider making a small donation We’re witnessing the disappearance of some of the best film-related websites in the world: The Dissolve, Movie Mezzanine, Keyframe, FilmStruck, Fandor… Are we the next in line? Cinephilia & Beyond is an independent, non-profit website without any financial support from funds or sponsors. We’re completely dependent on the donations made by our faithful readers, so please consider supporting us with however small donations to give us a helping hand in keeping film culture alive for future generations.